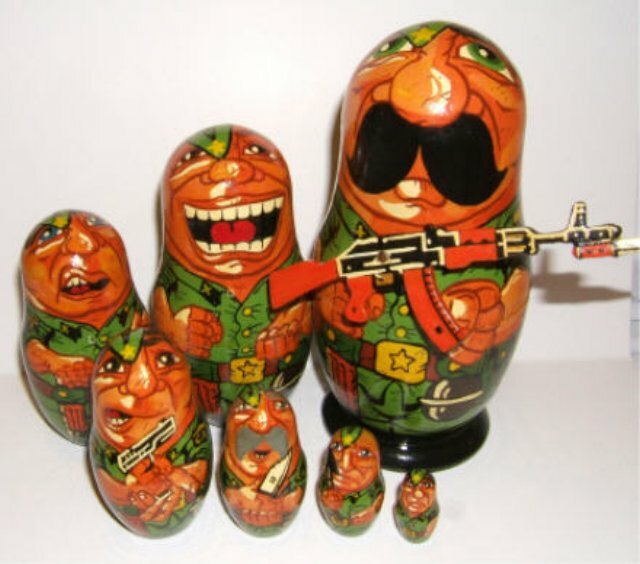 “Russian soldier in Chechnia with gun" is a rare collectable set (limited edition of 80 sets). This set was made in 1993 Moscow artist Pavel Volinov and is the last set (the original sample from the seller). The outer doll is 7" tall, the smallest - 1". Gun (made of wood) attached to the top doll.